A lecturer in accountancy and finance at the J. E. Cairnes School of Business & Economics at the National University of Ireland, Galway (NUIG), Frank, is a Fellow of The Institute of Chartered Accountants in Ireland. After fifteen years in professional practice, latterly as a partner in the international accountancy firm, KPMG, he held a number of senior positions in industry and finance before moving into academia. Currently engaged in research on performance measurement and management in the provision of public services through non-profit organisations, his particular interest is in the area of disability services. 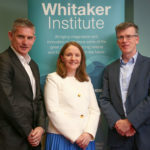 Frank is an affiliate at the Centre for Disability Law and Policy at NUIG and a member of the performance management research cluster in the School. Frank is currently undertaking a PhD (part time) at NUIG. The subject area of Franks research is performance management in the provision of public services. The particular focus of Franks research is on the challenges for performance in Hybrid service delivery environments in the provision of support services for people with disabilities. (2012) Using Classroom Debates to Explore Contentious Issues in Auditing' CELT conference, June 7-8th 2012 NUI Galway, 2012. (2011) Centre for Disability Law and Policy Submission to Central Statistics on Proposed Module for Quarterly National Household Survey. Executive member of 'Hope 4 Disability' a disability advocacy and support organisation based in Galway, Ireland. Member of the board of the National Parents & Siblings Alliance (NPSA) in Ireland. The NPSA is a national advocacy and suopport organisation for people with intellectual disabilities and/or autism.